Brazil skipper, Neymar, has explained his most horrific moment as a footballer. He said it was his back injury he suffered in the 2014 World Cup. Neymar revealed this in an interview hosted by former Barcelona teammate Pique. 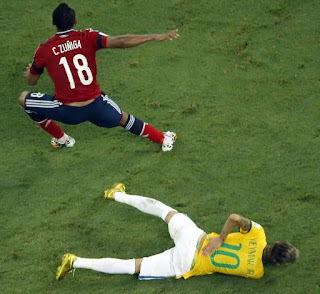 Brazil skipper, Neymar, has revealed details his most horrific moment in his professional footballing career. The PSG forward said he feared he would never walk again after losing all feeling and movement in his legs after a back injury at the 2014 World Cup. "worst moment of my career" as former Barcelona team-mate Gerard Pique interviewed him for the Players' Tribune.